A man was hit by a car and killed on the Beltway in Northern Virginia early Saturday. News4's Julie Carey spoke with Nathan Dickerson's fiancee. A longtime federal worker who was set to be married died in Northern Virginia on Saturday after he was struck by a hit-and-run driver, police say. 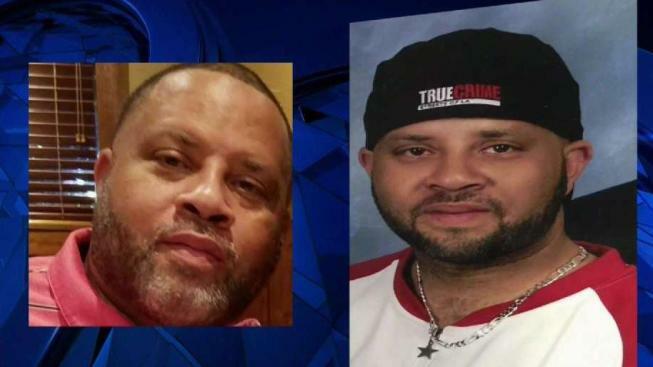 Nathan Dickerson, of Alexandria, was killed, Virginia State Police said. He was 47. "Everyone loved him. He was just the gentle giant," Dickerson's fiancee, Sonya Andrade, said. Dickerson, known as "Big Nate," was a native Washingtonian who worked for the Social Security Administration after years with the Office of Personnel Management. He had two grown children, and loved the Washington Nationals and the Dallas Cowboys. On Saturday, Andrade feared something had happened to Dickerson. He texted to say he was on his way home from MGM National Harbor but never arrived. Hours later, at 7:30 a.m., state police went to Andrade's door and told her her fiance had been killed. "You took away my future. You took away my love, my best friend," Andrade said as her granddaughters tried to console her. About 1:30 a.m. Saturday, Dickerson was headed west on the Inner Loop of the Beltway. Near the Eisenhower Avenue ramp, his Nissan Altima hit the Jersey barrier, bounced to the other side of the interstate and collided with an RV, his car badly damaged. Dickerson got out of his car and was hit by a red sedan. Its driver fled. Dickerson was pronounced dead at the scene. No one in the RV was hurt. Andrade pleaded for the driver to come forward. "How can someone do that? How can someone just hit someone and leave them like that?" she said. Anyone with information for police is asked to call 703-803-0027.